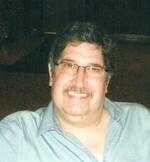 Obituary for Raymond F. Schwab Jr.
Raymond F. Schwab, Jr., 59, of Millcreek, passed away peacefully at his residence on Tuesday October 16, 2018. He was born in Erie on January 19, 1959 a son of Ruth Theiss Schwab Smith and the late Raymond F. Schwab, Sr..
Ray attended McDowell High School and graduated from the New Castle School of Trades. He worked as a union roofer for 18 years through Local #210 with McCreary Roofing before retiring in 2010. He enjoyed hunting, woodworking, and especially spending time with his two dogs, Dusty and Dakota. In addition to his father he was preceded in death by his brother, Matthew Schwab and a special cousin, Jake Schwab. In addition to his mother and her husband, Albert Smith, survivors include one brother, Mark Schwab of Erie; his uncle, Jacob Schwab and his wife, Robin, of Erie; his nephew, Christopher Schwab and his wife, Amber, of Erie; several cousins including, Maria Hartline and her husband, Tom, of Erie; and his former wife, Cindy Schwab, of Erie. Friends may call at the Russell C. Schmidt & Son Funeral Home Inc., 5000 Wattsburg Rd., on Friday from 4 p.m. until the time of services there at 7 p.m.. Burial will be private in Wintergreen Gorge Cemetery. In lieu of flowers memorial contributions can be made to the Regional Cancer Center, 2500 W. 12th St., Erie, 16505. To send flowers to the family of Raymond F. Schwab Jr., please visit our Heartfelt Sympathies Store.